Villagio Tile and Stone is the leading provider of kitchen and floor tile in the greater Arizona area. We are a tile company in Scottsdale, Arizona dedicated to bringing the best prices and inventory to our clients. We are proud to say that no other tile company provides as many choices as we do. We believe in our choice to sell wholesale, just as much as we believe in bringing affordability and accessibility to the tile world. Nowhere else will you find a company more willing to make their customers happy then you will at Villagio Scottsdale. We want to make sure you have the opportunity to find just what you’re looking for the first time, every time. Nothing is worse than starting a home improvement project and finding out that the tile you wanted was going to be out of your price range. Choosing us eliminates the guesswork; you get what you pay for. Our interactive showroom is the perfect way to see exactly what you’re ordering before you order it. 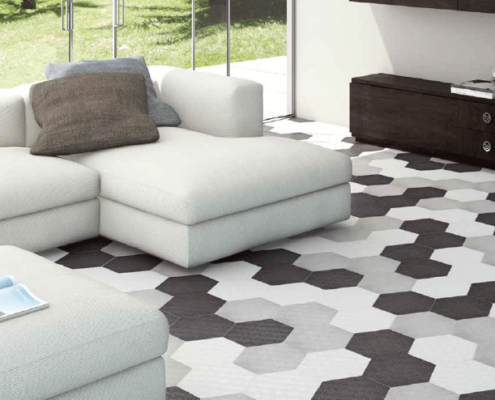 You can touch, feel and see the tile long before you make the decision to buy. You won’t find many companies who are willing to be this transparent before the sale. Once you get a look at our products, you won’t need or have to go to another tile store in Phoenix. Not only do we have the better prices, but we also have the better inventory. All of our products are chosen with the utmost care, and we only order from respected manufactures in our industry. With our wholesale tile prices perfect for buyers and large inventory open to the public, it’s easy to see why we are the leading Arizona tile distributor in Scottsdale. Come learn more about the products we offer at the prices that will astound you! Contact us today (480) 422-6700.